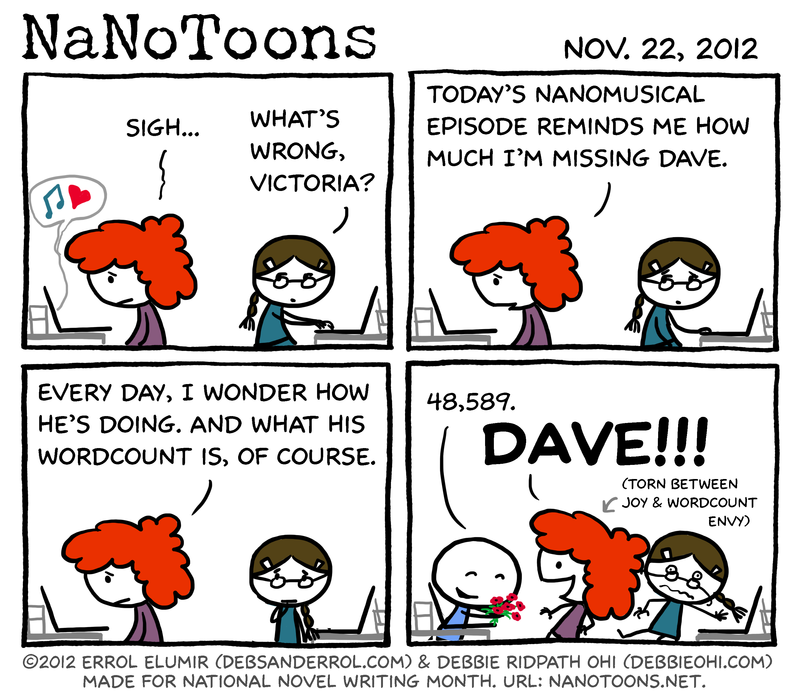 And for those wondering why Victoria is sighing, here is the 4th episode of NaNoWriMo: The Musical. Debbie: This is my favorite NaNoMusical episode so far. And yaaaay for a NaNoMusical CD!!! For those participating in PiBoIdMo (Picture Book Idea Month), I have a comic caption contest up today.